What is testosterone? Testosterone is a natural hormone that is crucial for good health as well as muscle growth and fat loss. Testosterone is found in much higher concentrations in men than women and today’s modern-day lifestyle has led to a decrease in testosterone levels meaning now levels are lower in men than they have ever been. Low testosterone symptoms include altered sleep patterns and sleep disturbances, increased fat, reduced muscle mass, reduced libido and lack of motivation. If you have lower than normal testosterone levels you may be looking at how to boost testosterone in order to decrease the symptoms and improve how you are feeling. When looking at how to increase testosterone there are multiple ways to increase levels naturally through diet and supplements. Foods that increase testosterone include eggs, honey, garlic, almonds, spinach and tuna. Having a diet packed with whole foods, protein, carbs and healthy fats can help optimize your natural testosterone levels. Incorporating these foods into your diet regularly can be challenging so another way to give your testosterone levels a boost is to take a look at supplements. One of the well-known natural testosterone supplements available is horny goat weed, this herbal supplement is used to boost testosterone and enhance libido as well as energy levels. 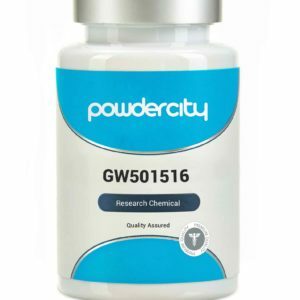 BCAA powder is very popular in the fitness community thanks to the muscle toning and reduced fatigue benefits, they also help to naturally increase testosterone levels. The best testosterone booster depends on your own requirements and preferences but one that should not be overlooked is D-Aspartic Acid. This amino acid regulates and releases testosterone within the body and continues to boost testosterone even after the supplement has been stopped. Whether you are looking for testosterone pills, powders or other low testosterone treatment options you should be able to find one that suits you with relative ease. If you are looking for herbal supplements to increase testosterone, shilajit is a fantastic option that has a number of benefits from improving testosterone levels to increasing energy levels, stabilizing moods, enhancing healing and the immune system leading to quicker recovery and improved general health. Shilajit is an excellent supplement that will give your body a boost in many ways, not just in terms of testosterone. No matter what you are looking for, whether its targeted supplementation for something specific or broader to help with your overall health there are many testosterone-boosting options available.